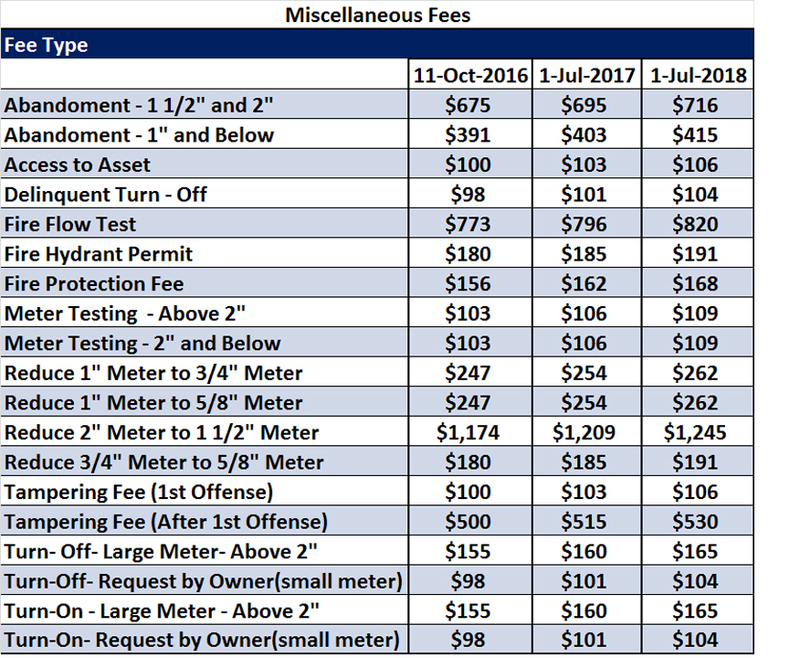 Click here to learn more about the new water billing system! Baltimore City DPW provides clean, safe, reliable water to Baltimore City residents and is consistently known among the best localities in the nation for water taste and purity. The City performs 150,000 water quality tests annually and produces an average of 205 million gallons of drinking water daily. For more information please view the Annual Water Quality Report. 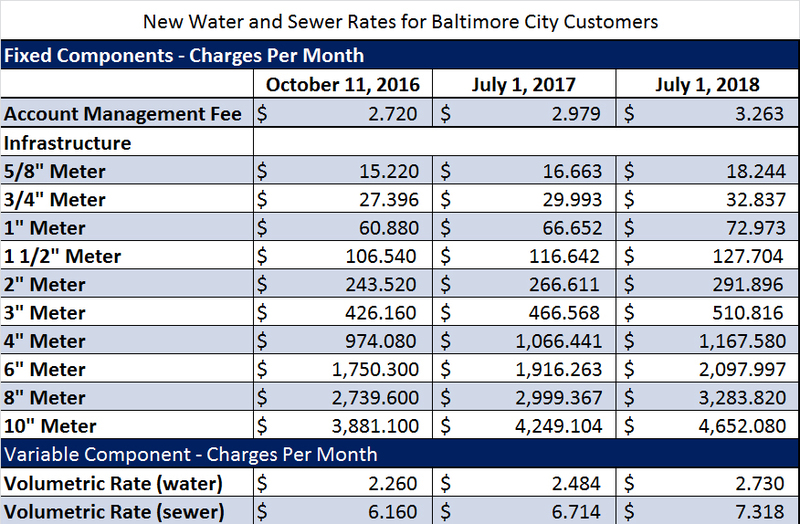 Starting October 11, 2016, Baltimore City started charging the below fees for water and sewer use.